Importing From FrameMaker®: You Can Do It!!! First of all, congratulations on deciding to make the switch from Frame to Flare! Clearly you’re a highly intelligent (not to mention attractive!) individual with great taste and unparalleled insight into the future of technical communications. OK, so now what are you supposed to do? In the interest of making the FrameMaker®-to-Flare transition as easy as possible, here are some steps to take that will help you get started. 1. Read the “Moving from FrameMaker®” documentation before you import your files into Flare. This documentation is a great resource as you go through the import process. You can either read this documentation as online Help topics or you can download the PDF. 2. Create markers in your FrameMaker® source files for things you want Flare to bring in. You can create alias markers if you want to have context-sensitive Help in Flare, filename markers if you want to control the names of files that are created as a result of the import, hyperlink markers to transfer hyperlinks, and passthrough markers for certain things in FrameMaker® that you want Flare to leave alone. 3. Clean up your FrameMaker® files before you import. This can include things like making sure you don’t have any missing cross-references or referenced files in FrameMaker® and getting rid of duplicate styles. Since Flare does not automatically convert non-style formatting to styles, it’s a good idea to create character styles for all of your in-line formatting. 4. Learn to think like Flare. 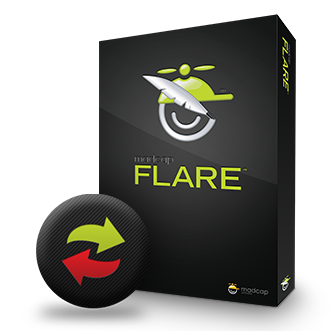 Flare is different than Adobe FrameMaker®, not just because it’s a different product, but because Flare thinks about content differently than FrameMaker®. In unstructured FrameMaker®, you use a book with files to define your content. The smallest chunk of information is typically the file, or chapter. You can use Flare the same way, in that you can open a topic and write a 50-page Chapter 4, but the real power of Flare will be missed if you do that. In Flare, you don’t work initially with chapters; rather, you work with topics, which are typically much smaller. That makes them easy to reuse. You will have many more topics in Flare than you had chapters in FrameMaker®. So when you get to the page in the wizard where Flare asks you where you want to break up the FrameMaker® files into new topics, think about the best, most logical places to begin and end topics. Usually, you want the new topic breaks to occur wherever you have styles such as Heading 1, Heading 2, or even Heading 3. 5. Decide how you want your images to come across. If you have anchored frames with image callouts, you can bring those images across without the callouts, or bring them in with the callouts so they can be edited in MadCap Capture. You can also merge them into a flattened image, choose to keep resizing on images or bring them in at 100% of their original size. 6. You have a couple of options when it comes to the look of your FrameMaker® source files. One option is to keep the formatting, which you may want to do if you’ve got a lot of styles and formatting throughout your documents that you want to keep. If you do this, just know that you will end up with a lot of “child” formats in your stylesheet in Flare. The names look like h1.Heading1 or h2.Heading2, where the part after the period comes from the style names in your FrameMaker®files. The other option is to not keep the formatting and map your FrameMaker® styles to standard CSS styles at the parent level. In other words, you’ll end up with h1 instead of h1.Heading1. It’s a way to start with a fresh stylesheet in Flare. And by the way, when you get to the mapping pages in the Flare wizard, it’s a good idea to map all of your paragraph and character styles with Flare styles, rather than not mapping anything. Otherwise, you may not like the styles you end up with. 7. Know which FrameMaker® elements are transferred to Flare and where they are. Master pages in FrameMaker® become page layouts in Flare. Condition tags are transferred and are still called condition tags in Flare. Reference Pages have no equivalent in Flare. Instead, the formatting and other tasks you are used to performing are done in the Stylesheet Editor, the Page Layout Editor, or both. See? With the right preparation, you can avoid the dreaded FrameMaker® Freak-Out and switch to MadCap Flare almost effortlessly. Want to learn more? Watch our movie, 10 Things You Gotta Know About Importing From FrameMaker®. I literally just want the command to bring one frame file into my project.